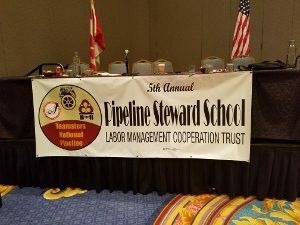 Secretary-Treasurer Val Holstrom and Business Representative Mark Brandt are attending the Annual IBT Construction Division Pipeline meeting this week. These important seminars and meetings focus on growing the construction industry, and attracting and training new members for the heavy highway infrastructure and clean-up work that the President has promised is coming with his Infrastructure plan. 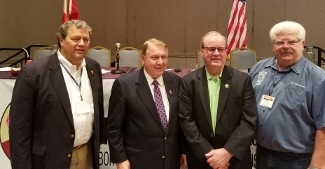 Secretary-Treasurer Holstrom is pictured below with General President Hoffa, General Secretary-Treasurer Ken Hall and Construction Division Director Marion Davis.